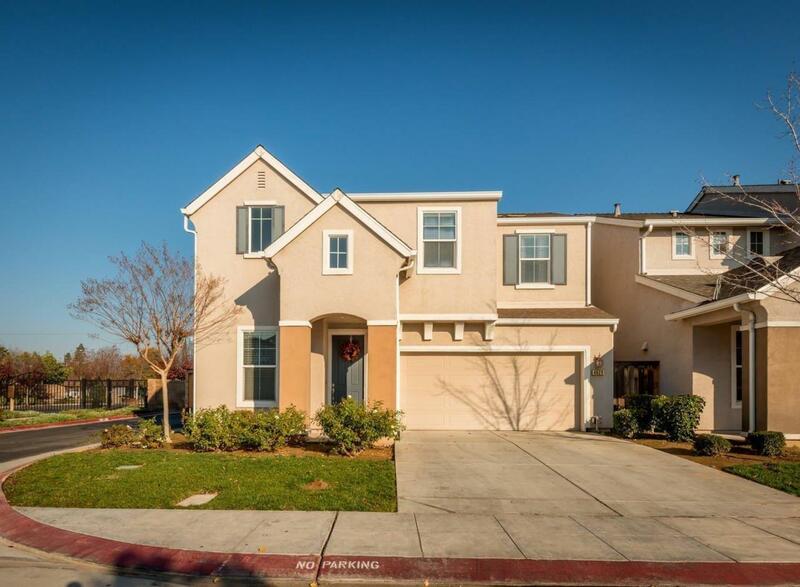 Gorgeous model-like home in a charming gated community close to stores and transportation. Situated close to guest parking and community park. This home features 3 bedrooms and 2.5 baths with updated laminate and tile flooring on lower level. There is a separate bonus room with vaulted ceilings for additional living space. Kitchen features granite counters, tile back splash, breakfast bar and stainless steel appliances. The master bath offers a large step in shower and a separate soaking bath tub. Stairs and 2nd floor bedrooms and hall have updated designer carpet. The laundry is conveniently located upstairs and the windows with the most sun exposure have been tinted for energy efficiency and heat control. The backyard has synthetic lawn for easy care and maintenance. Gated community offers front yard landscaping/maintenance and the grounds offer a playground sport court and large grass play area. This house is a MUST SEE! Call and schedule your appt. today! Gate code required. Listing provided courtesy of Cliff Lloyd of London Properties, Ltd..